Providing pathways for artists with disability is an important part of what we do. Find out more about the programs that develop artists professionally. Watch videos and read blogs from the programs below. DADAA supports artists to develop professionally and to realise their dreams however big or small. To support you on your journey as an artist, we offer a range of programs at all levels so that you can progress as an artist as you learn and build your skills. connections to the professional arts community in Perth, Western Australia and the Eastern States. If you join DADAA with NDIS funding, you will outline your goals as an artist as part of your initial planning. We offer this and extended planning options as part of our standard Client Services. In addition, at certain other times in your journey as an emerging, established or professional artist, it can be important to take the time to plan exactly how you might achieve a specific dream or ambition that you have. DADAA staff and peer artists can work with you to think through your dreams and goals, and to figure out the smaller practical steps that can take you there. If you have a big artistic dream and think goal planning would be useful to you, talk to us about setting up goal planning sessions. DADAA has just completed a four-year partnership with Perth Festival. Aiming high, this four-year collaboration sought to transform the place of artists and performers with disability in Western Australia. 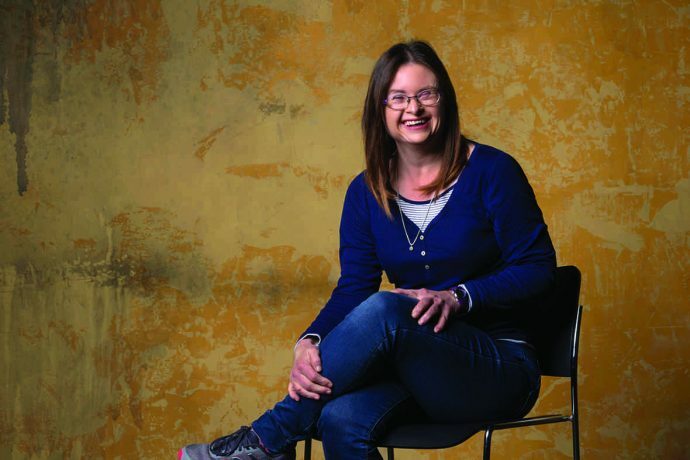 Bringing high-profile international artists and directors with disability to Perth during 2016 and 2017 provided unprecedented artistic training and exchange for Western Australian and other Australian artists with and without disability. 2018 saw performer Julia Hales take to the Festival stage with her show You Know We Belong Together, while in 2019, DADAA opened its Fremantle hub for an afternoon public program of artist-led performance and talks.